Parking Arrangements for Sunday's Matches. As there is a large crowd expected at the games, patrons are asked to be considerate of others when parking their cars. Several households have previously complained that their driveways were blocked by cars parking in front of gates during previous matches. In addition, the Gardaí have stated that they ticketed a large number of cars which were parked on footpaths and others which were causing obstructions in housing estates during last year's Allianz League Campaign. 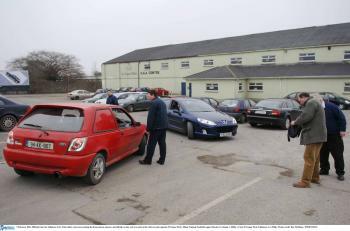 Roscommon town boasts year-round free parking and there are enough public car parks around the town for all patrons to park safely. Patrons are urged to park legally and ensure that they do not obstruct any gateways or park in a way that could prevent an emergency vehicle such as an ambulance or fire engine from gaining access to an incident. Roscommon GAA thank all our supporters for their continued support, and we also thank the business community and the County Council who make car parking facilities available to the thousands who visit Roscommon town on match days.